Should You Add Verint Systems Inc. (VRNT) to Your Portfolio? Hedge fund interest towards Verint Systems Inc. (NASDAQ:VRNT) shares was flat at the end of last quarter. 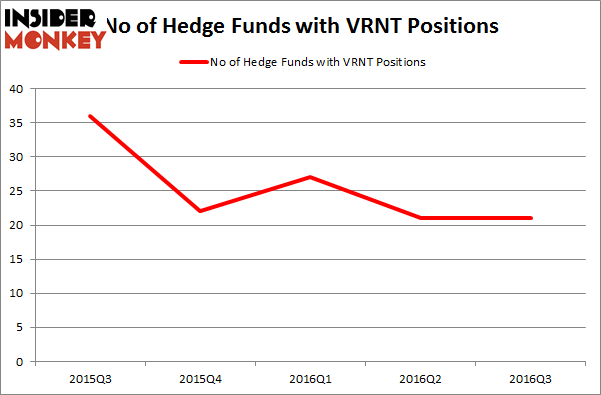 VRNT was in 21 hedge funds’ portfolios at the end of September. This is usually a negative indicator. The level and the change in hedge fund popularity aren’t the only variables you need to analyze to decipher hedge funds’ perspectives. A stock may witness a boost in popularity but it may still be less popular than similarly priced stocks. That’s why at the end of this article we will examine companies such as Bloomin’ Brands Inc (NASDAQ:BLMN), Pegasystems Inc. (NASDAQ:PEGA), and Pinnacle Financial Partners (NASDAQ:PNFP) to gather more data points. With all of this in mind, let’s take a peek at the recent action encompassing Verint Systems Inc. (NASDAQ:VRNT). 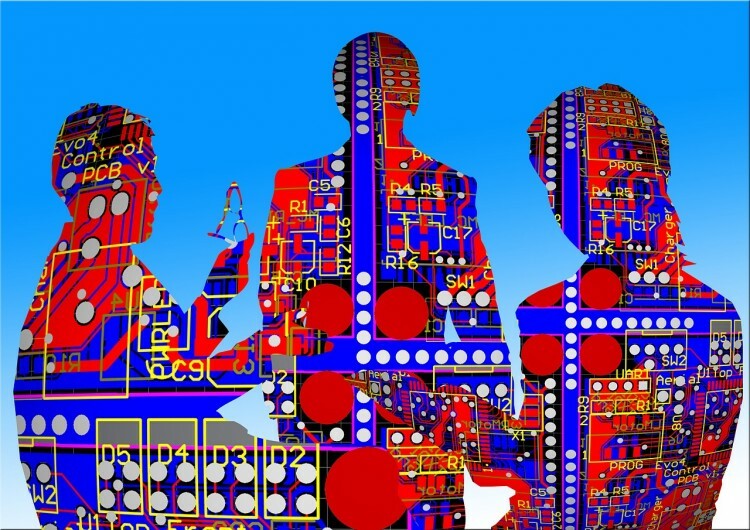 How are hedge funds trading Verint Systems Inc. (NASDAQ:VRNT)? At the end of the third quarter, a total of 21 of the hedge funds tracked by Insider Monkey were bullish on this stock, unchanged from the end of June. Below, you can check out the change in hedge fund sentiment towards VRNT over the last five quarters. With hedgies’ sentiment swirling, there exists an “upper tier” of noteworthy hedge fund managers who were upping their stakes meaningfully (or already accumulated large positions). Of the funds tracked by Insider Monkey, Fisher Asset Management, led by Ken Fisher, holds the largest position in Verint Systems Inc. (NASDAQ:VRNT). Fisher Asset Management has an $80.4 million position in the stock. On Fisher Asset Management’s heels is RGM Capital, managed by Robert G. Moses, which holds a $58.2 million position; the fund has 6.5% of its 13F portfolio invested in the stock. Remaining hedge funds and institutional investors that hold long positions include John Brennan’ Sirios Capital Management, Ryan Frick and Oliver Evans’ Dorsal Capital Management and Clint Carlson’s Carlson Capital. We should note that two of these hedge funds (RGM Capital and Dorsal Capital Management) are among our list of the 100 best performing hedge funds which is based on the performance of their 13F long positions in non-microcap stocks.